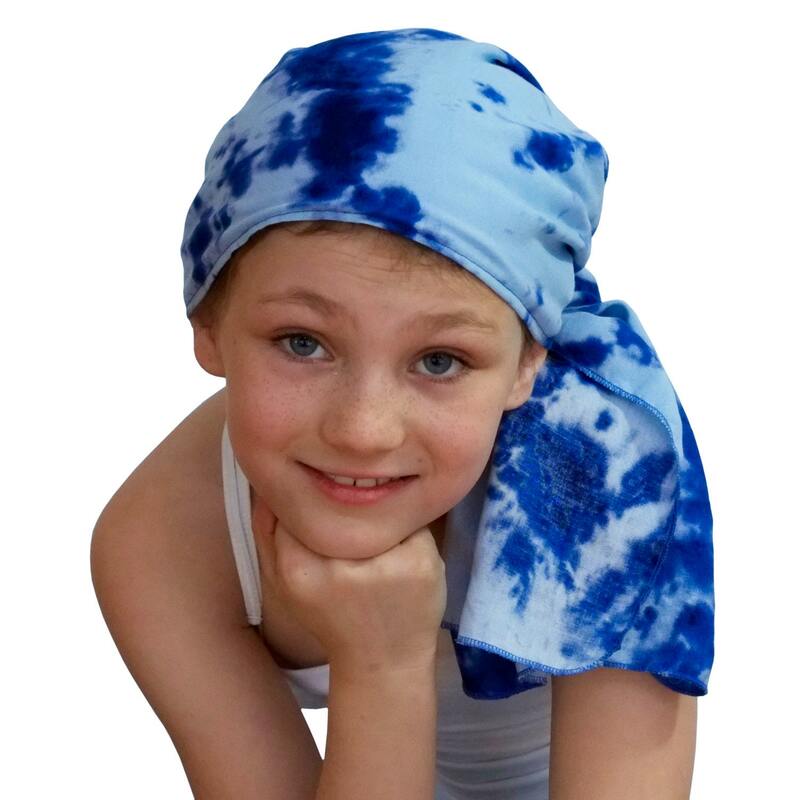 The ‘Ava Joy’ is a children's pre-tied head scarf, cancer headwear, chemo head cover, alopecia hat, head wrap, cancer gift for hair loss. A perfect gift for a girl with hair loss. 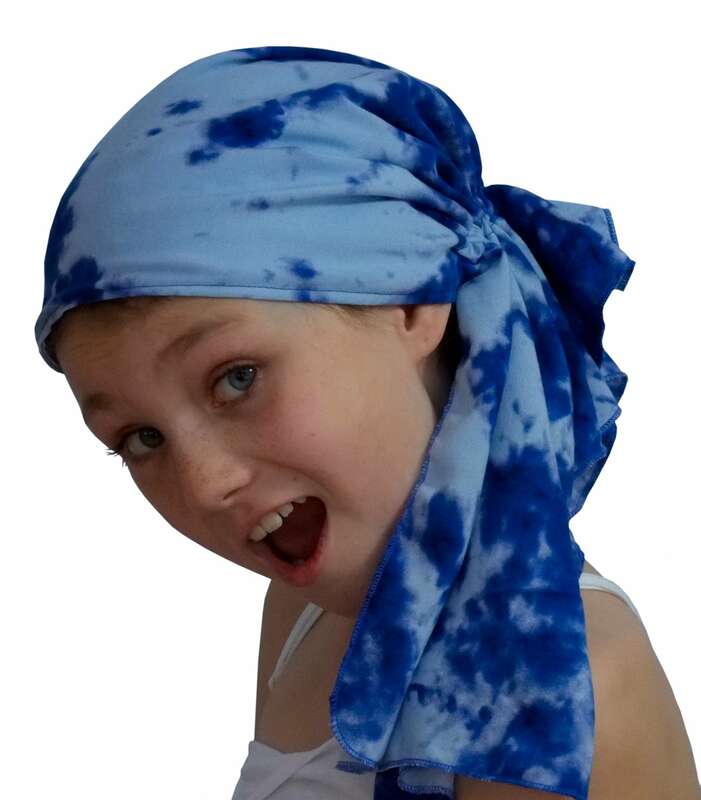 The scarf is fitted to one’s head for full coverage which makes it easy to put on and go. 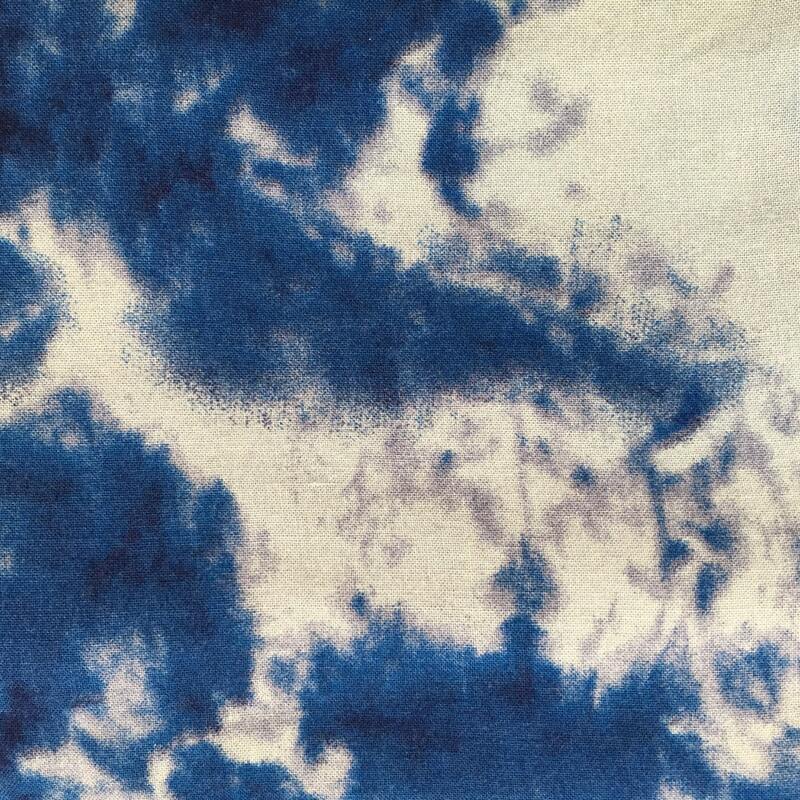 The fabric is chosen to build the child’s self esteem and help the child express her individual interests and personality. 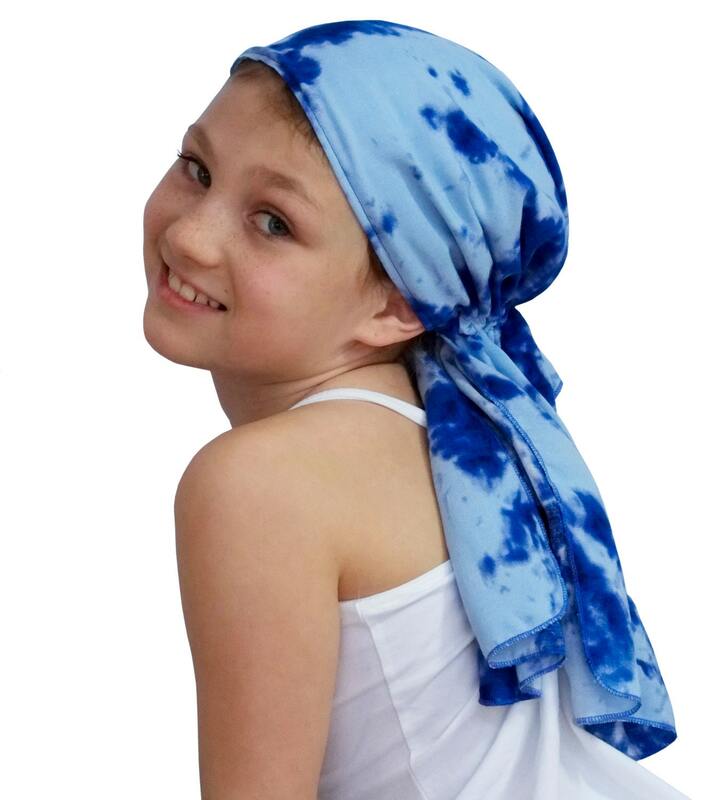 For comfort and breathability, the shell is made of the soft, flowing Rayon Challis and lining is made with 100% Cotton. The Ava Joy scarf was inspired by my two nieces, Gaby and Mia. After my hair loss, they were both upset knowing that someone could actually lose their hair. They were so excited when it was coming back and told me how they would never cut their hair and wanted it to grow to be like Rapunzel. I knew that losing my hair was a difficult thing to accept, but for a child it must be so much harder. I purposely made the Ava Joy scarf long to imitate the feel of long hair.